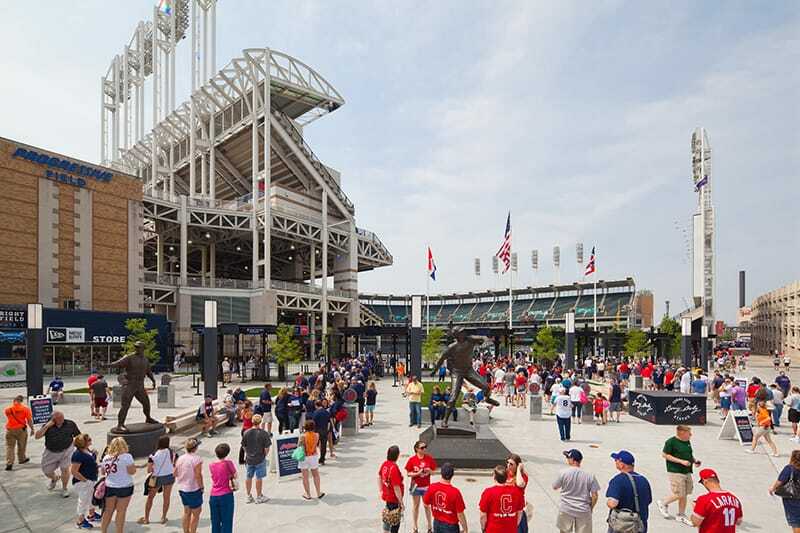 The Gilbane team successfully completed the Cleveland Indians Progressive Field Improvement project by opening day of the 2015 season. 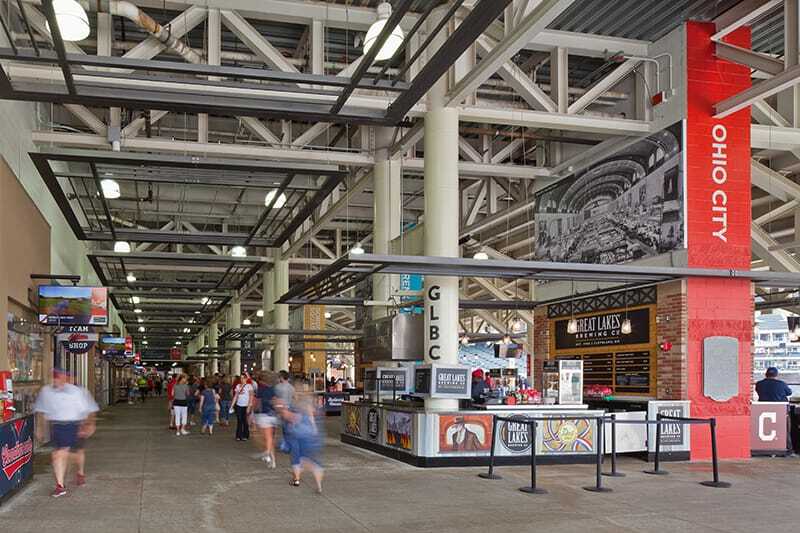 The multi-million dollar renovation traded roughly 7,000 little-used seats, as well as empty suites, for new gathering areas in order to accommodate the growing trends Major League Baseball fans are demanding. 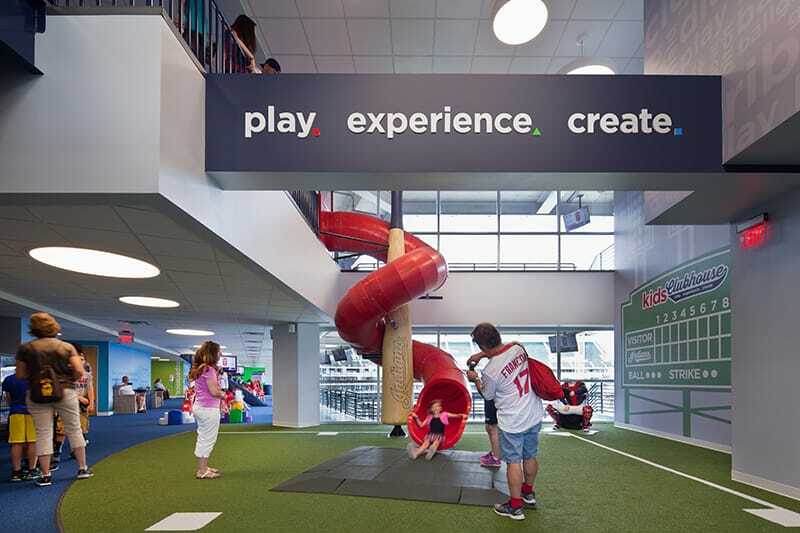 These new spaces tailor to more family-friendly areas and social environments for young professionals within the ballpark. Redesign of the stadium’s Gate C entrance off East Ninth Street now provides views into the ballpark from the street. This new design strengthens the tie between the stadium’s pulsating energy and the active city streets. A new, two-story indoor-outdoor bar, expansion and renovation of the family-friendly kid’s zone, and the incorporation of Cleveland neighborhood themed areas filled with unique food and drinks were all included in the improvement project. In order to enhance fan experience, both the home and visitor’s bullpens were moved into center field. By shifting their location, a section of exclusive seats in front of the new, glass-encased bullpens is now open to fans who want an up close and personnel view of the bullpen in action. This also provided space for seats to be placed closer to the field in place of the bullpen’s previous location. 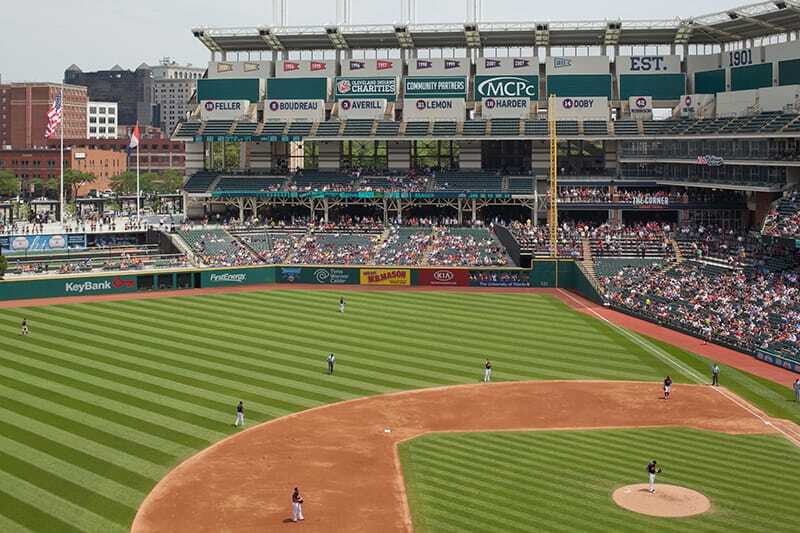 With a fast-track construction schedule of only six-months during the off-season, construction began immediately following the final home game of the 2014 season and was completed for opening day of the 2015 season.